Want to know one of the fastest ways to kill your website? Pick a bad web host. The service that you choose to house your website is just as important as picking a quality domain name and writing superior content. Choosing an inferior host typically results in difficulty launching your website, problems with usability, and often server downtime that results in loss of sales. But which web host should you choose? There are hundreds of options out there and each claim they can provide you with the services you need to run your website. That’s where we come in. Our experts review and rate many popular web hosts with the goal of helping you pick the best service for your website. We take the time to sift through the sea of web hosts out there and separate the hype from the truth about their products. When reviewing hosts, we examine several key components to ensure that you make the right choice the first time and avoid the pitfalls that result from choosing a bad web host. Let’s face it, we all want to reduce expenses wherever possible, but you need to be careful when shopping around. Most web hosts will offer amazing introductory deals with the average host offering service for $5 a month or less. Often, there’s a catch with this low pricing. For starters, you may have to commit to a long-term contract of two years to get the best pricing. Other times, the low-cost hosting is only for your first term, ranging from six months to a year. Afterward, your hosting costs could increase by as much as 400%. That $5 introductory offer may increase to $20 per month or more after your first term. When we score a hosting service, we will disclose all the details behind their pricing structure. That way, you’ll know how much you’re going to pay upfront and five years from now. Most of us aren’t born artists or graphic designers. We wouldn’t know where to start in designing a website, even if we had the simplest website builder imaginable. Fortunately, the majority of web hosts offer you a library of website templates that you can use to build your website. These templates vary in variety and functionality ranging from simple blog-style templates to elaborate ones that are perfect for e-commerce websites. The trick can be finding a web host that provides you with a proper variety of templates. Ease of Use – The best templates allow you to configure all features and allow full access to code easily. Adding content needs to be simple. Otherwise, it defeats the purpose of a template. 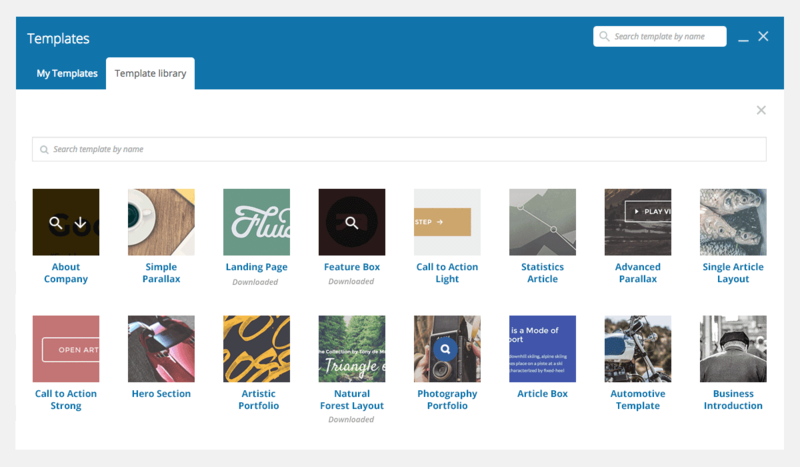 Variety – The library of templates offered needs to be extensive, covering the gamut of websites that users want to build. Mobile Optimization – If you wish to maximize your traffic, you have to have a mobile-friendly website. Hosts should offer templates with mobile functionality. Next, we let you know whether you’re going to have to pay anything extra to use these templates. Some hosts offer templates free as part of their service, while others only offer ad-based free templates. The latter means you have to pay to unlock the full version and remove ads. Other hosts only provide a limited library of fully-functional templates and that number increases depending on your subscription level. The number of features a web host offers will impact the quality of website you’re able to build and how reliable it will be. The best hosts provide value-added services to allow you to get your website up and running without additional upgrades. 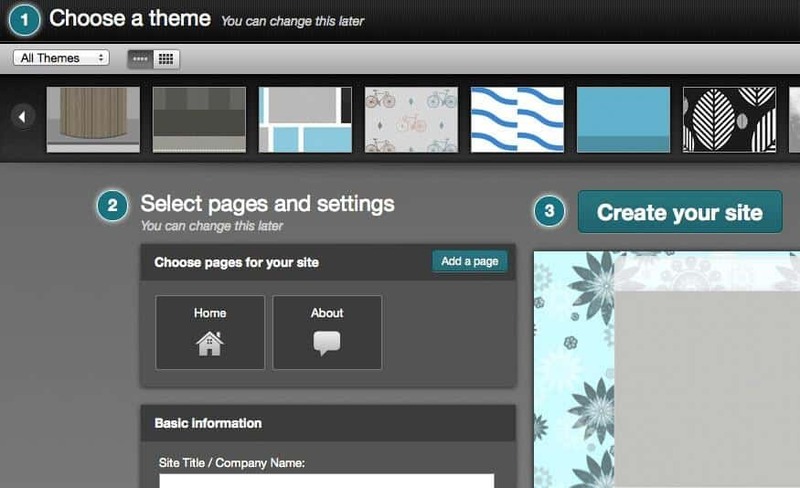 Website Builder – The best hosts will offer you the option to build a website using their software and templates. We test these builders to ensure that you can easily create your new website. Control Panel – The control panel is your website’s headquarters, allowing you to update all features. We test each host’s control panel interface to make sure it’s easy to use for all skill levels. Storage – This refers to how much space your website files will require. We review hosts to ensure that they offer adequate storage options for the needs of different businesses. Bandwidth – The more your website grows, the more bandwidth it will consume. We will tell you if a service puts a cap on your bandwidth and what the cost will be to upgrade. Mobile Optimization – Over half of your visitors are going to come from a mobile device. If a host does not offer mobile optimization for their website builder or their templates, you’ll either be forced to create a mobile version of your website or risk it being unreadable on many mobile devices. 9% or Better Uptime – We check the guaranteed uptime on network servers hosting your website and review their guarantees. Prolonged website outages will cost you visitors and sales. Database Support – If you plan on keeping a database on your server, such a product database, it’s important that your server offer this support as part of the main package and not as an add-on for an additional fee. E-commerce Tools – If you sell products through your website, you want a provider that will provide the tools you need to make sales such as shopping cart software, payment processing program integration, and SSL certification. We’ll let you know if these tools come as a standard part of the package and how they compare to other common e-commerce platforms. Regular Backups – You backup your personal data, so you want regular backups of your company’s website. If website files become corrupted or you make an unrecoverable error in an update, you want a service that does daily backups of your website and makes it easy to restore them. When you start to build your website, consider the primary people who will be updating the website. If you’re planning on pulling double duty running your business and your website, fine. Most of us don’t have that time, so it will fall on someone else to update the website. What is the level of expertise of those updating your website? Do you have a dedicated IT pro or will your administrative staff be in charge of the website? Ease of use is often just as crucial as available features since many small business owners cannot afford to pay extra for a dedicated webmaster. What is ease of use? Simply put, this refers to the level of difficulty in using your web host’s interfaces. Some hosts have complicated interfaces that require expert-level knowledge. The best interfaces are those that are simple to use and require little more than pointing and clicking. When evaluating web hosts, we sign up for the service and test drive the various user interfaces. Is the control panel simple to use or will you have to learn a bunch of complicated commands to upload files? What about the website builder? Is it a simple drag-and-drop style interface or will you always be on the phone with support trying to figure out how to post new content? A web host that’s easy to use helps to ensure that you can regularly update your website regardless of those on your staff. That way, if Jake the IT Guru decides to take another job, Nancy the Admin can still keep your website updated. You’re going to need help with your web hosting at some point. It’s unavoidable. Sometimes you’re going to need help with features, such as figuring out why sales tax is not calculating correctly in your shopping cart software. Other times, the problem is going to be at the host’s end, such as a server network outage. When problems arise, you need competent customer support to help you resolve these issues. When reviewing web hosts, we pay particular attention to their support options. Some hosts will only offer customers email support, and most find this inadequate. That’s because with most email support channels, it takes up to 48 hours to get a response. If your product database crashes, do you really want to wait up to two days for support? This is going to hit your bottom line. The best web hosting services are going to offer some form of direct contact with customer support in the form of either live chat or telephone support. Live chat is the most popular option for help, as you can usually connect to a customer support agent in less than a minute. It’s also helpful for the times when support has to walk you through a problem as you have the instructions on screen in front of you. When checking out a vendor’s customer support, we not only research what options they offer, but we put them to the test. We contact support using the options provided and then ask various support questions. We’re looking to see how long it takes them to respond, whether they’re professional and yet friendly, and whether they have the expertise and communication skills to walk us through the solution. Whenever possible, we also check out customer reviews about a web host for information on support. We look at complaints and see if there are any patterns that indicate problems, such as multiple customers complaining that support agents are not knowledgeable in resolving database problems. If problems are discovered, we share that information. Selecting a web host is one of the most important decisions you will make in building a website. It is the backbone of your website and picking the right service is crucial for the long-term success of your website. Does this host offer the features I need for my website? Is this host easy to use and can anyone on my staff use it? Will this service fit in my budget? Our reviews will give you the answers to these questions, allowing you to make the right choice of web hosts and ultimately putting you in the best position possible for launching a successful website.